70 b&w photos, 12″ x 12″. 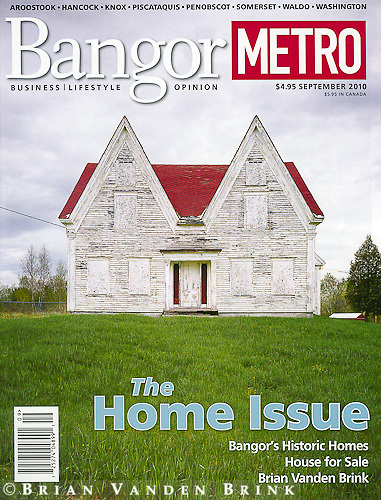 Over the years, Brian Vanden Brink has stolen time from photographing the highly designed works of architects to focus on deserted homes, architectural ruins and their relationships to the surrounding landscape. 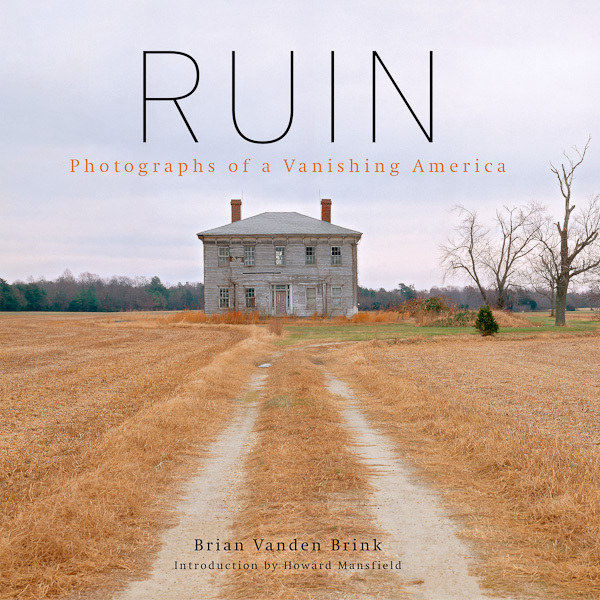 In RUIN, Vanden Brink captures and illuminates in stunning color and black & white images churches, mills, bridges, grain elevators, storefronts, the 300-foot-tall chimney of a lead smelter, and the pitch-black depths of an Air Force plutonium storage vault. 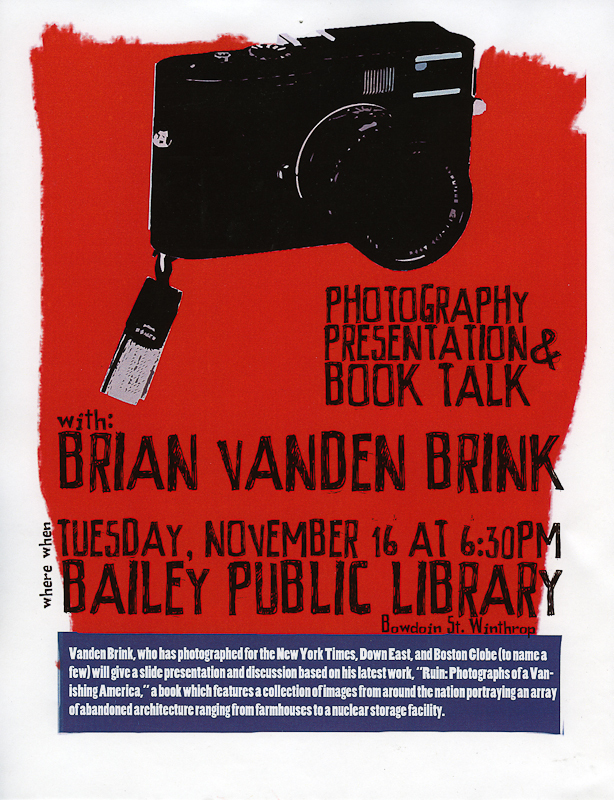 Through Vanden Brink’s lens, these structures become iconic, representing an America that was built and then abandoned. His photos capture the long, slow demise of structures that once held immense import and usefulness. With text by historic preservation and architecture expert Howard Mansfield, this collections of photos grants permanence to places that may soon vanish forever.